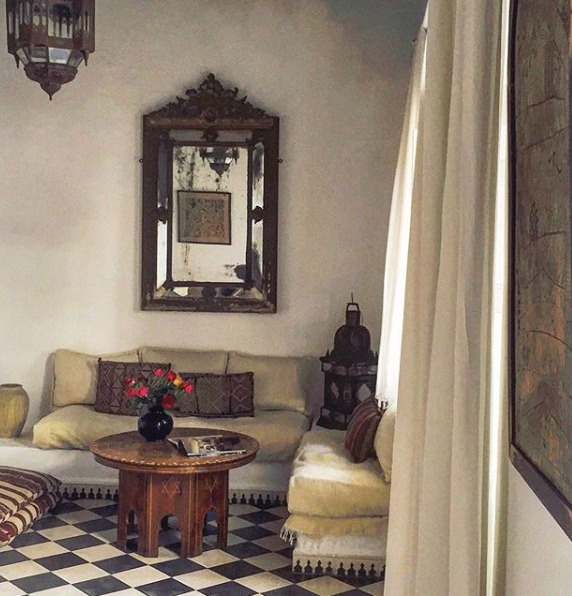 A blissful yoga retreat experience in the seaside town of Essaouira, Morocco. This 5 days yoga retreat will indulge your senses while nourishing all levels of your being. 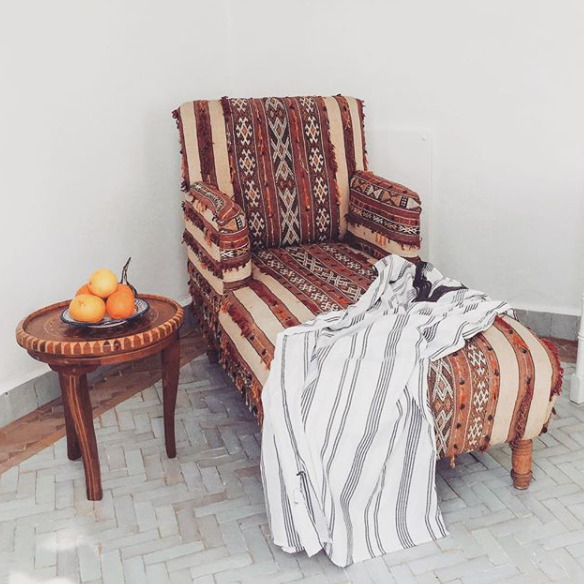 Come with me in May 2019 and be nourished by daily yoga, meditation, beach walks / swims, traditional Moroccan Hammam and getting lost in among souks and berber rugs, creating new beautiful memories with a group of like minded souls. 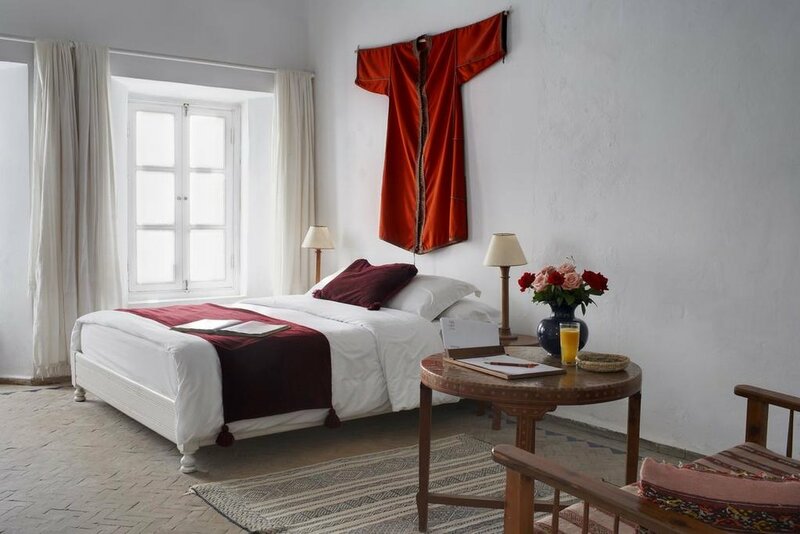 Daily life will revolve around rooftop yoga classes with panoramic ocean views, delicious traditional Moroccan meals, sunbathing on the beach or lazy afternoon strolls exploring streets full of colourful blankets, stopping for steaming pots of mint tea and watching the sun go down. 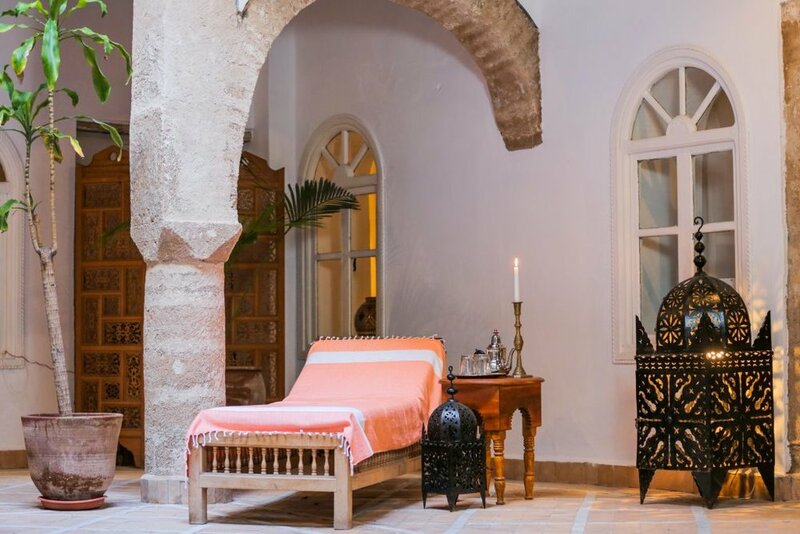 My aim is for you to feel strong, fit, healthy and revitalised whilst having a blissful time in Essaouira. 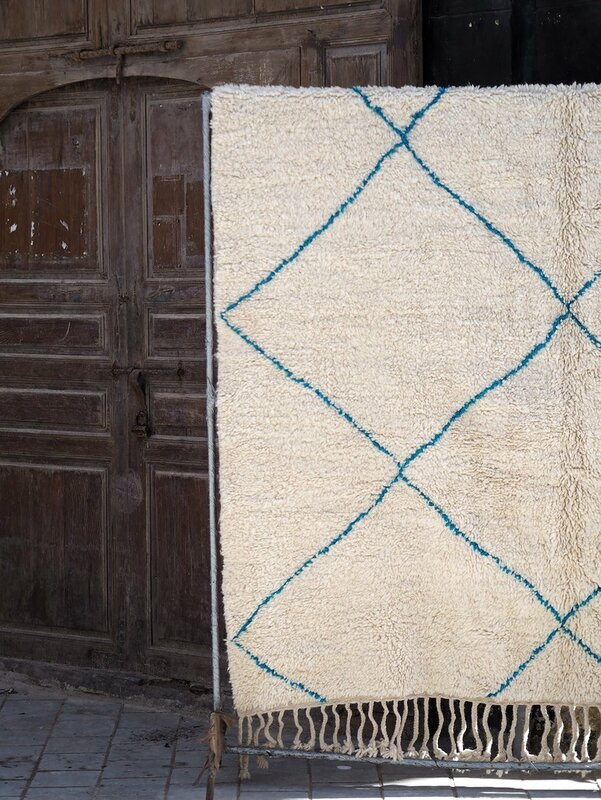 We will be tucked away at Essaouira, a seaside town about 90 minutes from Marrakesh that oozes peace and tranquility. Surrounded by golden-stone city walls, this charming town is still relatively untainted by tourism. 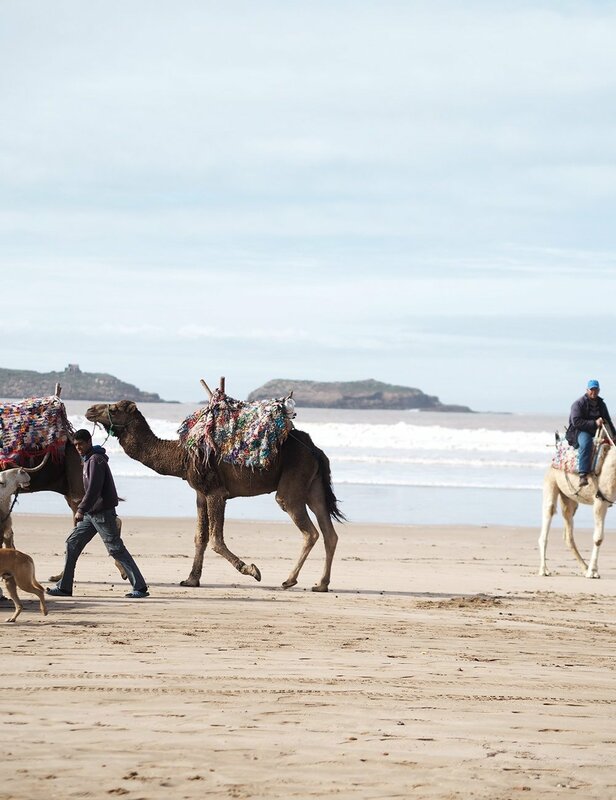 Laid back beach vibes, fascinating culture and friendly locals, Essaouira has a bohemian feel and moves at the perfect pace for our yoga retreat. 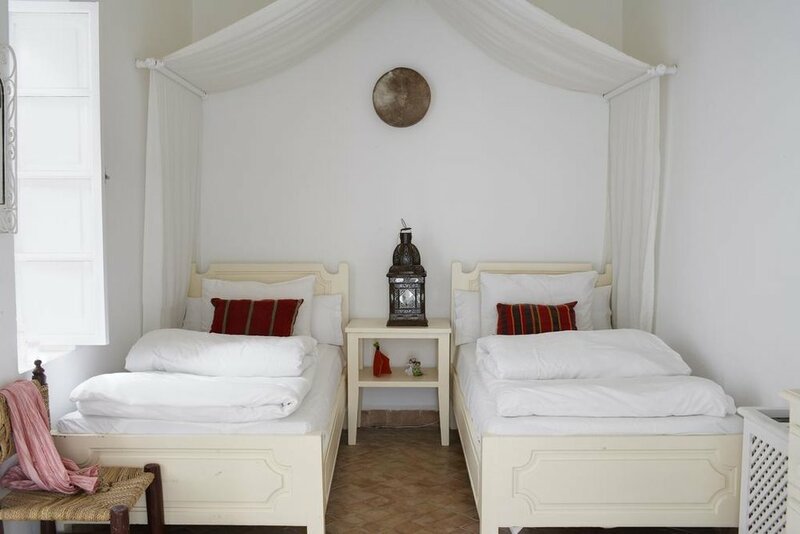 Our villa is located in the heart of the medina, and only 3 minutes walk to the beach. 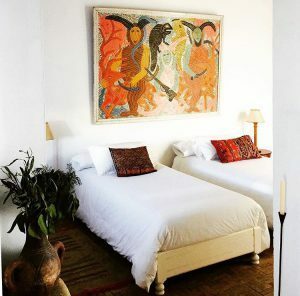 Rooms at Villa Maroc are traditionally styled with a Moroccan charm - crisp white linen, shaggy berber rugs and patterned tiled floors. 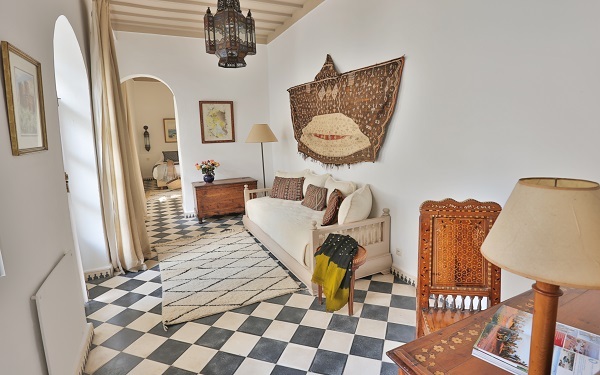 There are plenty of quiet corners to escape to; play a game of chess or scrabble in the lounge, enjoy a drink at the bar, find a sunny spot on the roof terrace overlooking the sea or simply allow yourself to be lost in the maze of prettiest little corners in this villa. I fell in love with this charming, beautiful villa and I am sure just like me, you too, will not want to leave. My intention on creating this yoga retreat is to challenge, deepen and progress your yoga practice whilst also allowing you plenty of time during the day to relax, reconnect with yourself and explore this magical place. It feels so great to start each day on the rooftop with meditation & energising vinyasa flow overlooking the Atlantic Ocean as the sun rises, and to return in the afternoon to relax completely with a yin yoga practice. We may even venture down to the beach on one of the days and flow to the rhythm of the waves! You will sleep well knowing you have another day of yoga, adventures and fun ahead. Everybody from all fitness levels are welcomed. Whether you are new to yoga or well established in your yoga practice, you will find what you need with this retreat. This retreat is also ideal for meeting like-minded people and making new friends, coming together to find new inspirations and to share exciting new adventures. Partners, friends or family not involved in yoga are also welcome to come along for the journey. 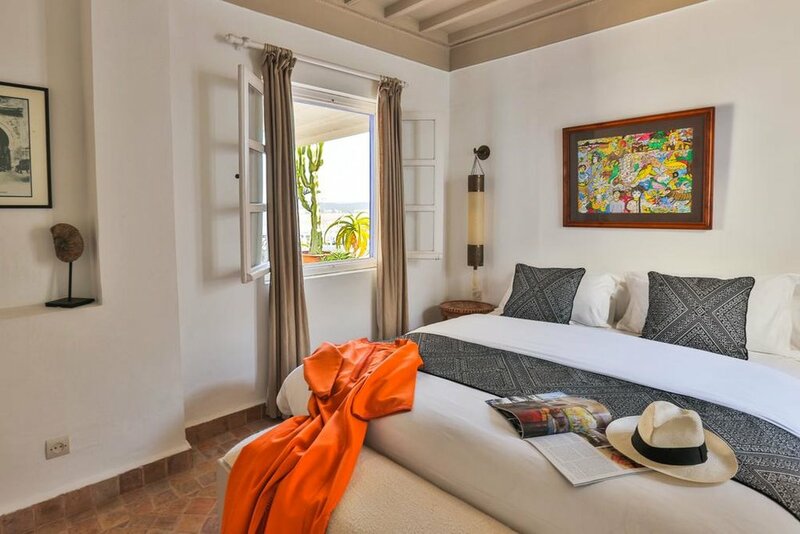 Indulge in your extra large bed with a comfortable living space & spectacular view over the ocean. Ensuite, double bed, with a living area. 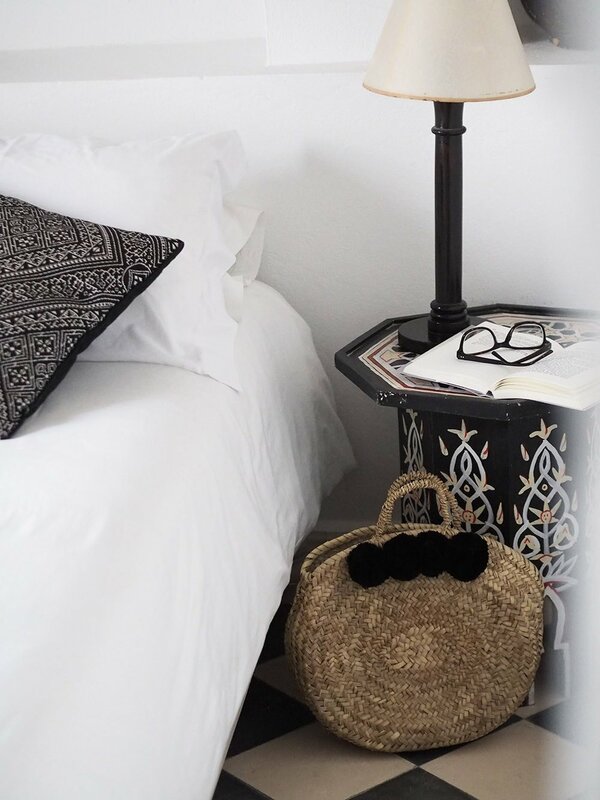 There will be plenty of space for alone time around the riad during the retreat even if you are sharing a room with your new friend. There are several cosy sitting areas both indoors and out for you to write in your journal, read your book or sip mint tea. The beach is also only 3 minutes walk away. Please note the price listed above are per person and based on 2 people sharing a room. For your own private room based on single occupancy please email for more information. * Payment plan every month available for the remainder - payment in full by 5th April 2019. * there is also a family suite with two rooms - please email if you would like more info on this room. Interested in booking your spot on the retreat or have a question? I am happy to help answer any questions you have about room options, travel plans or anything to do with the retreat. Just use the contact form below and I will be in touch with all the information you need to join us for a week of yoga in paradise! Thank you for your interest! I will get back to you within 48 hours. Have a beautiful day!